How can I submit student writing? It's easy. Just send us an email! You can email or use snail mail to send us your student writing. We will list the names of all students sending us writing and publish student writing as space is available. We welcome photos. Photos should be sent as separate attachments, not in the body of a word document. Email writing to easyenglish@aol.com or, if you send us writing in the mail, typed stories are best since it is often difficult to read handwriting. Please be sure and print student names. Hard copy photos can be returned. 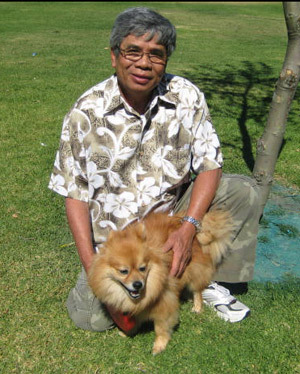 Danny Tran of Garden Grove, California, is a frequent contributor. How can you participate in Easy English Times? Letters should be less than 300 words (longer letters may have to be edited for space considerations). Letters are welcome on any topic of current interest. Guest editorials should also be limited in length. They should state an issue or concern, present facts or supporting ideas, and reach a conclusion or end with a "call to action." Interview someone interesting. Send us a photo with the story. See a movie or video suitable for families and which can be understood with limited English comprehension. Send us your review of the film. Visit an interesting place and write about that place. Photos welcome. We love to get photos of individual students, classes or class projects. Photos can be sent on email but please do not send them in a word document. Photos should be sent as an attachment. Hard copy photos can also be sent and can be returned.